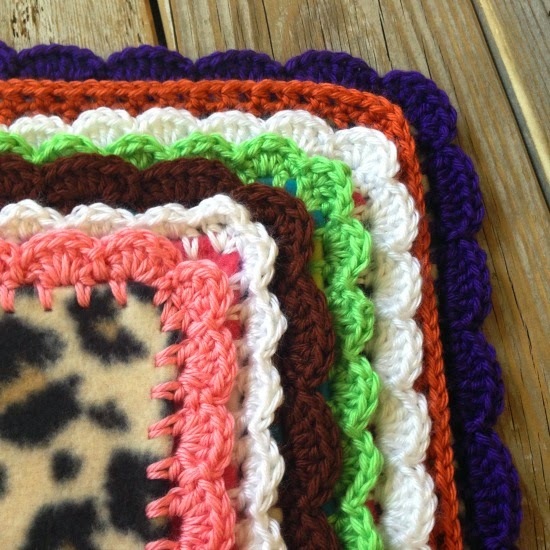 I have been getting more and more addicted to crochet projects!! I think they are so perfect for working on in the evenings – I just can’t seem to sit and watch a movie without actually doing something. And since it’s so chilly out right now, it makes perfect sense to work on cozy projects that will keep me warm while I work on them!! 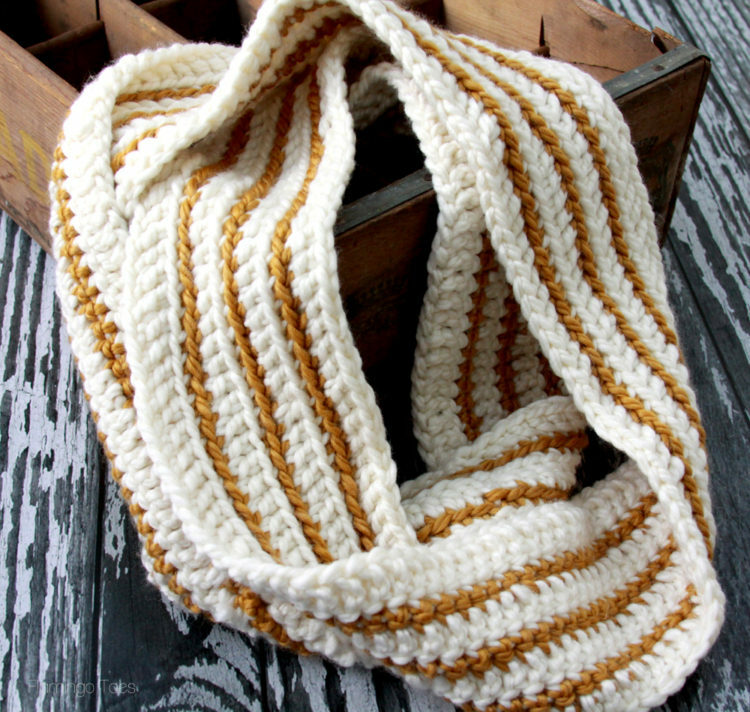 Today I have a fun new Cozy Striped Crochet Infinity Scarf to share with you – and a bonus!! 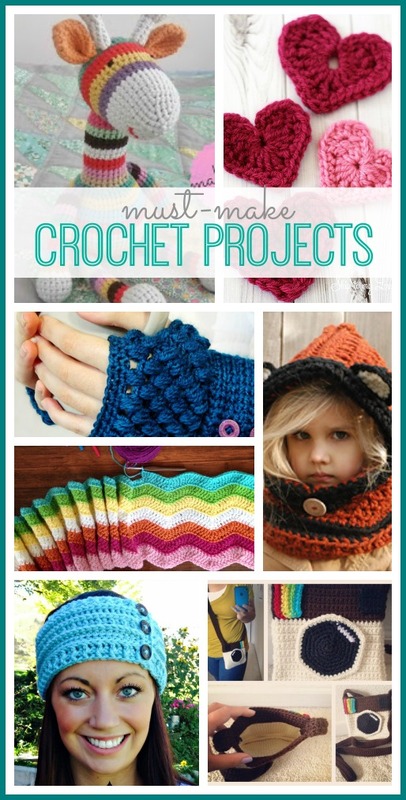 I’m joining in with some amazing ladies for #ProjectCrochet – and at the end of the post I have links for all sorts of cute projects for you! Yay! Before we get to that though – let me show off my new favorite scarf. 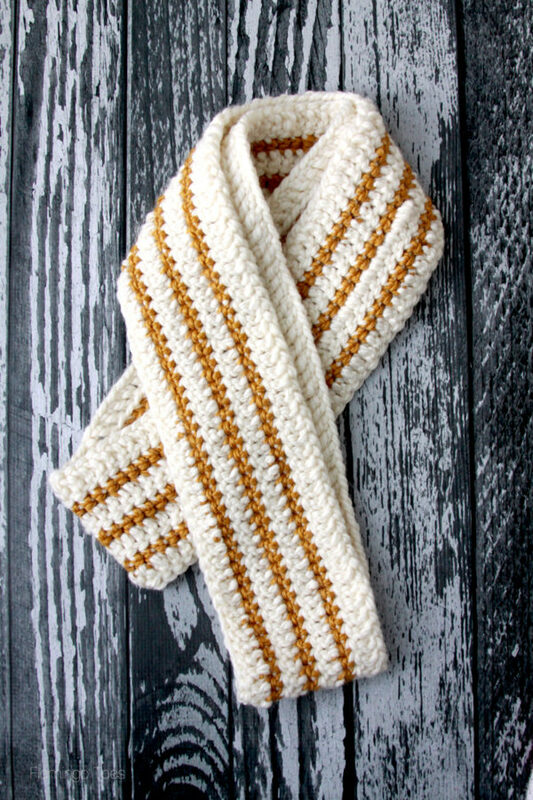 I’ve been wanting to make up a striped scarf for a while and when I found this yummy cream and gold yarn I knew that was it!! This will go with so many of my winter outfits. 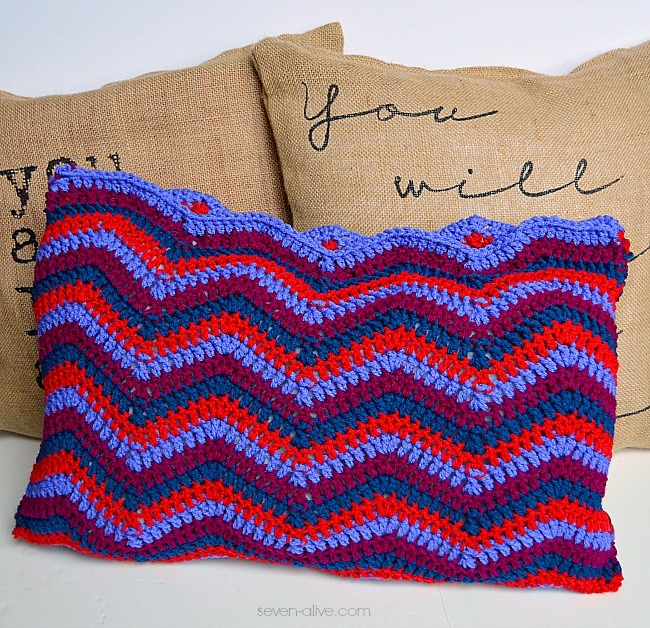 The pattern is crazy simple – just a simple pattern of single and double crochets, but I’ve worked the rows in the back loops to give them a little ridged edge. I think it adds a little something don’t you? 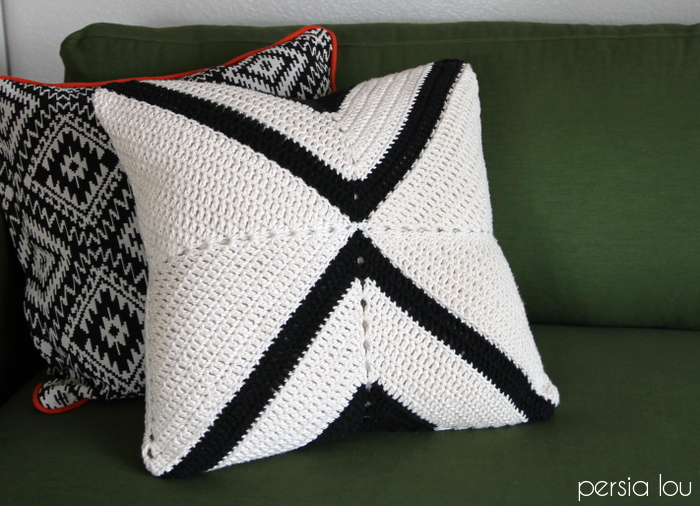 Begin with your cream yarn. Chain enough to measure 72″. Make sure your chain is not twisted and connect the last chain with the first with a slip stitch. Row 1: Chain 3, dc (double crochet) in each chain around until you reach the original chain 3. Slipstitch in top chain to connect the row. Change to gold yarn. Row 2: Chain 2. sc blo (single crochet, back loops only) all the way around the loop. Here’s a good video if you haven’t done that before: http://www.youtube.com/watch?v=phf7Nj0_LJg. Connect to the chain 2 with a slip stitch. 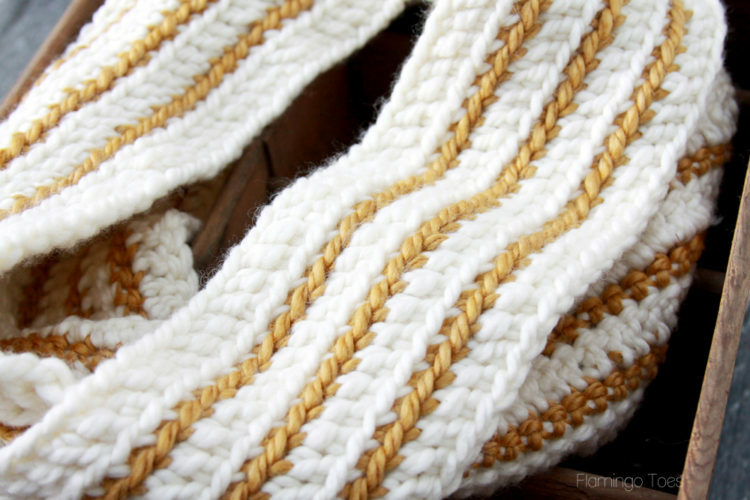 Change to your cream yarn. Row 3: Chain 3, dc blo (double crochet, back loops only) all the way around. Connect to the chain 3 with a slip stitch. Rows 4 – 7: Repeat rows 2 and 3, alternating colors. Finish off after row seven and weave in ends. 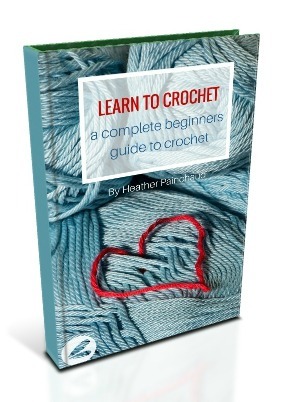 Now onto the Project Crochet fun!! 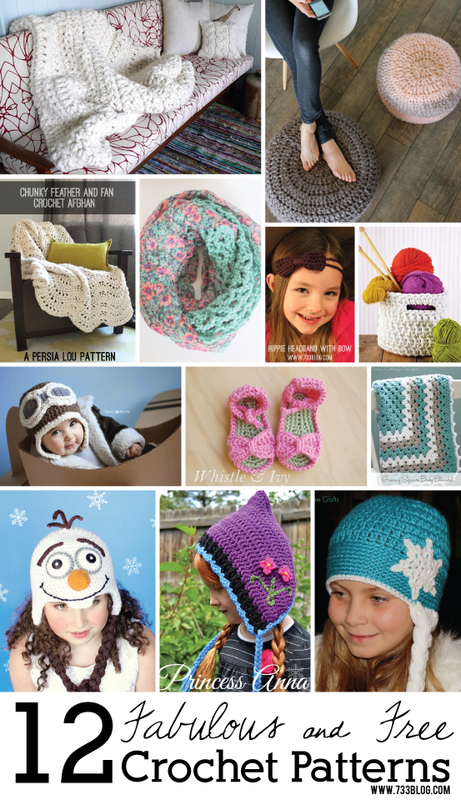 Visit all the links for the free patterns – aren’t they all so cute?! I love this! back loops only gives it the extra something something! 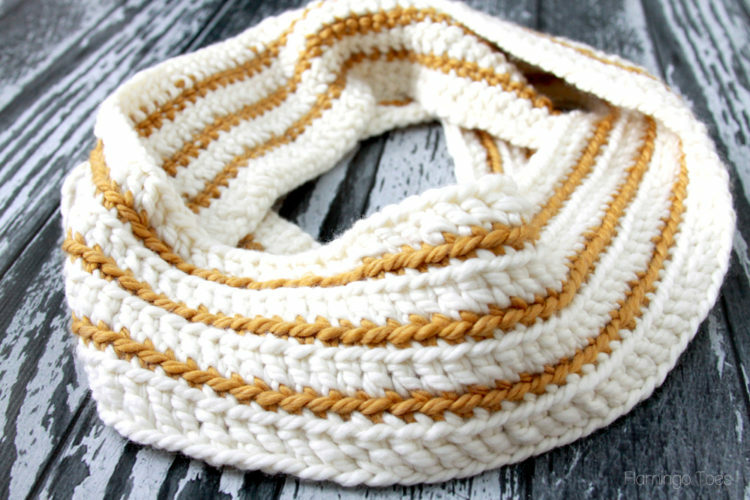 I have to ask… what is the name of the gold yarn?! I have been looking for gold for a long time but all of them are too yellowy. Thanks for the pattern! The yarn is Loops and Threads Cozy Wool – I’ve only seen it at Michaels. I think it must be their brand? 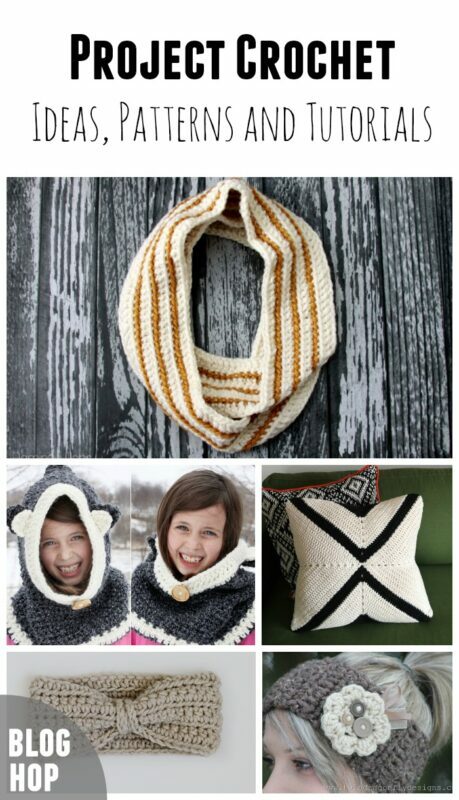 Here’s a link to their website – the colors I used were Goldenrod and Fleece. So pretty! 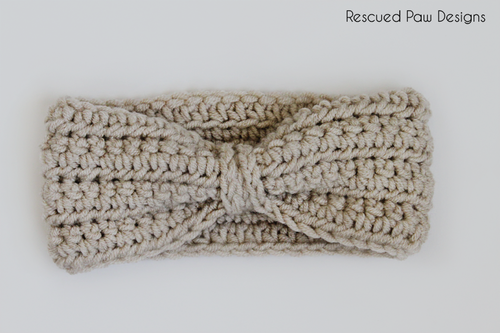 I love crocheting in the back loops, I think it gives it a much cleaner look most of the time. 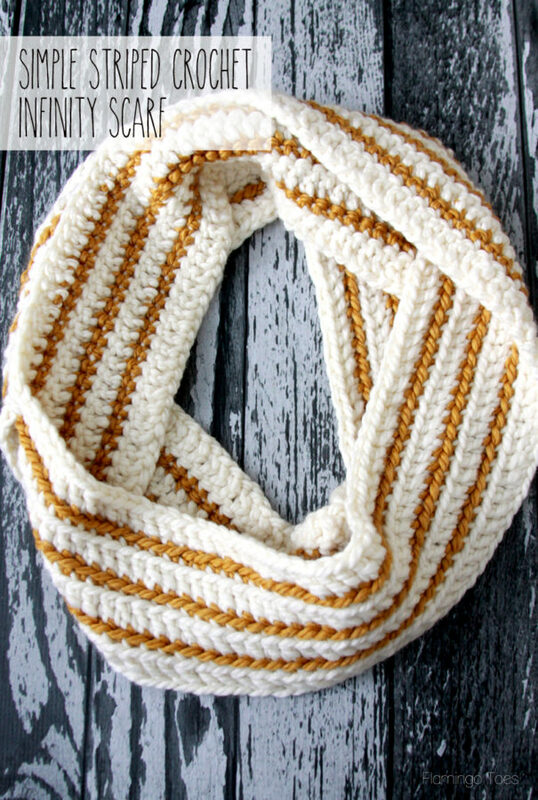 Lovely scarf and pattern, the texture is fab. But I wonder, is it really white and gold or in fact blue and black!!!!!! Since I tend to lose the regular kind, whoever came up with the idea of an infinity scarf was a smart cookie in my book. Your striped scarf is pretty. Like others, I love your color combo. My grandma crocheted a white and gold afgan in a chevron pattern. It was her most elegant effort. Although I have a couple of snowy white crochet table cloths of hers too that I adore. I come from crafty kin. I inherited about 20 or so of her wild 70s patterned afgans and 2 huge bins of packed full of embroidered doilies from gram, great gram and my mom. Love to hoard it all, but would rather find a good home and appreciative audience for many of these pieces. Dropping them off at some second hand shop seems so sad. Any ideas in that direction would be greatly appreciated. 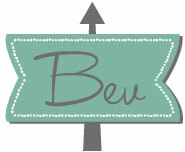 I also welcome inspiration on how to incorporate vintage embroidery in modern day decor. 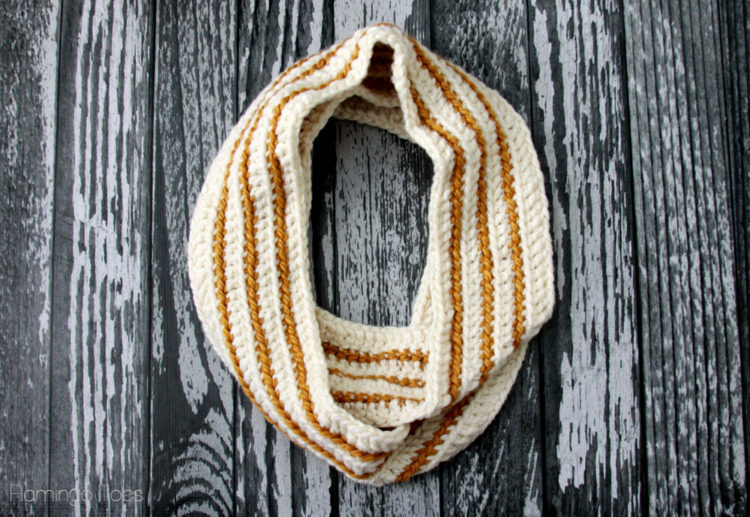 Cute crocheted scarf – love the stripe look. So very cute, and I’m like you, I can’t seem to get through a movie without doing something else, too! Thanks for bringing this by to our Throwback Thursday Link Party – I’ll be pinning this to our board, too, and Happy New Year! Great project. Love the stripes. Hi! I love the scarf. I’m currently making one in worsted yarn for my best friend’s high school graduation in the colors of the college she’s going to go to. Because it’s worsted weight, not bulky, the seven rows is way too skinny, only about 3 inches wide. I’m just going to do more rows, but I don’t know how many. How many inches is your scarf wide? I can figure it out from there, but I just need that starting info.